The popularity of the plantation shutter is a great asset in many ways for home or office, as it’s insulating properties against sound and sun are remarkable when Canadian Cedar is used. More than 50% reduction capabilities. 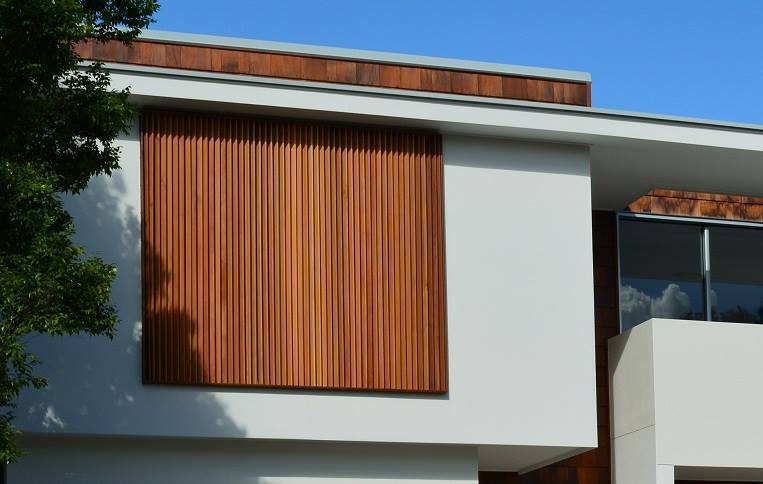 Seaforth manufactures shutters with the same flexibility you know and trusted in their range of cedar venetians for more than 65 years. Seaforth will custom make any colour to match your decor and install with confidence so products will last a lifetime. All their cedar products are made from Premium Grade Cedar so don’t be surprised by their very competitive prices, from their factory to you. Seaforth repairs and services everything they make, so you can be confident of after sale service when you need them. There are many shade furnishings on the market so it is hard to see the woods for the tree’s. One thing I can tell you is cedar is a lifetime timber, it is durable, stable, sustainable and very affordable. Cedar has many uses such as shingles, shakes, wall panel, venetians and is probably one of the only timber’s you can use inside and out that does not have to be pined or nailed and insects won’t eat it. Here are some of Seaforth Blinds best known projects and who they have worked for over the years. Court Houses NSW; Walgett, Cowra, Orange, Inverell, Nowra, Newcastle, Dubbo, Industrial Commission, Central Court Sydney. Buildings; Parks Police Station, The Sydney Cove Authority, NSW Medical Board, Commbank Sydney Uni, Hyde Park Barracks, Justice & Police Museum, Royal Botanical Gardens, Chief SEC Building, Parliament House Sydney, Mint Sydney, Government Printing Office, Arts Council Australia, Youth & Community Crows Nest, Historic House Trust, Lord Howe Island Museum Trust. Architects; Glen Murcutt, Alan Jack & Cottier, Burton & Halliday, Luigi Rosselli, Stutchbury & Pape, Alasdair Macdonald, Alexander Tzannes & Assoc, Andre Porebski & Assoc, Viv Fraser & Assoc. Builders; Giro Const, Gunlake Const, Transfields, Ant Building, Berem Const, Dinham Const. Resorts; Bora Bora, Hayman Island. It has been a pleasure over the years to have worked with some Australia’s most accomplished film makers such Kennedy Miller Productions, John Cornell and many artists and presenters in TV and radio. Film and Television has launched Cedar Venetians into the world stage with films like Pharlap, Umbrella Woman, Till The End Of The Earth, Body Line and Home And Away just to name a few. This sparked and rekindled a trend in Australia for natural finish’s in timber, plus the introduction of limed finish’s manufactured through the help of Feast Watson and Cabot’s they were then utilised in Hyde Park Barracks Sydney and many other Historical building throughout NSW. We dedicate this achievement to Max Parks our father, grand father founder of Seaforth Venetians in 1950 he is sadly missed and was loved by all. As a manufacturer to some of the most prominent projects in the past 63 years in Australia and overseas it has been difficult to grasp the new world market mind set when your product does not age but your customers are dazzled by high tech ideas and marketing. One important way we have focused on is not to give up making our customers no we are in business to service, manufacture, supply, and what we do does not go out of manufacture and become land fill. The green value of our products and crafting techniques have been our greatest strengths as well as being able to communicate with our long standing customers. Seaforth Blinds is not affiliated with any other business except SEAFORTH MFG CO PTY LTD so make sure when you see our name it is us.